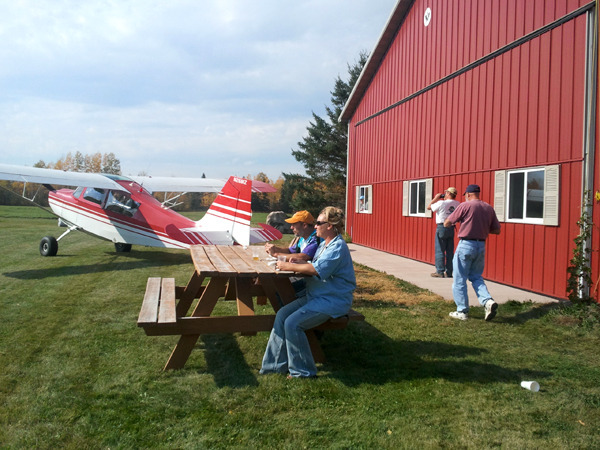 A couple of weekends ago we were treated to a fly-in at Jim and Cathy Nelson’s home in Wisconsin. Jim and Cathy ran a great welding business and have since retired. 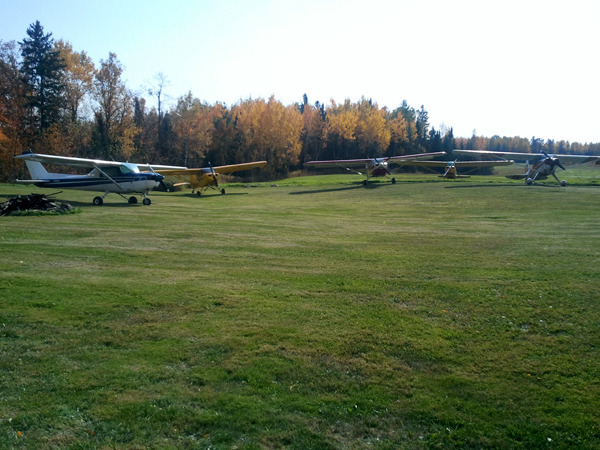 Jim’s love of flying has led him to construct a grass strip and a beautiful shop and hangar at their rural home. They have been holding and annual fly-in for a few years now. It was a spectacular site to see friends fly over the house and take turns rolling down the strip and into the meadow, and joing in some “hangar flying” over a delicious meal of “Jimbolaya.” Thanks for the fun!